On sale all cheese is packed airtight - under gap. Thus we guarantee for full quality and a safe transport at your home. Buy now this product together with Smoked Sausages "Kaminwurzen" Hell set - appr. 1 kg. ready for shipment: in stock Smoked Sausages "Kaminwurzen" Hell set - appr. 1 kg. Buy now this product together with Fenum cheese Alpine Dairy Three Peaks whole loaf approx. 1,6 kg. 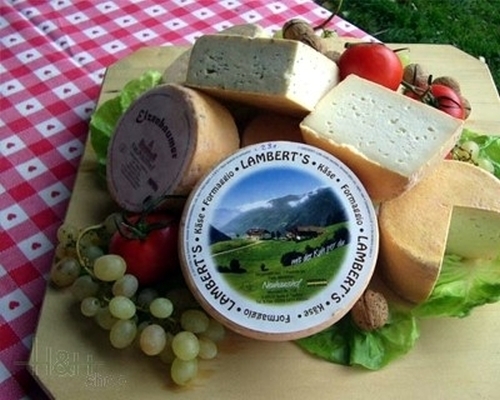 ready for shipment: in stock Fenum cheese Alpine Dairy Three Peaks whole loaf approx. 1,6 kg. Diavoletto Mignon Cheese DEGUST approx. 180 gr. Burgeiser Classic Cheese Dairy Burgeis approx. 500 gr. Ortler cheese Mila whole loaf approx. 2,5 kg. After about 60 days of ripening, Mila Ortler Cheese forms an uneven brown rind. 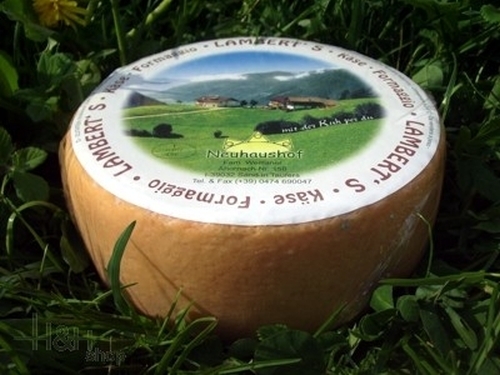 Its firm consistency, irregular eyes, distinctive milky flavour and mild aroma add up to a unique South Tyrol specialty cheese that is both satisfying and versatile. Sarnor Gold Cheese DEGUST + Obergurschnerhof app. 300 gr. 11,90 EUR / 39,67 €/kg. 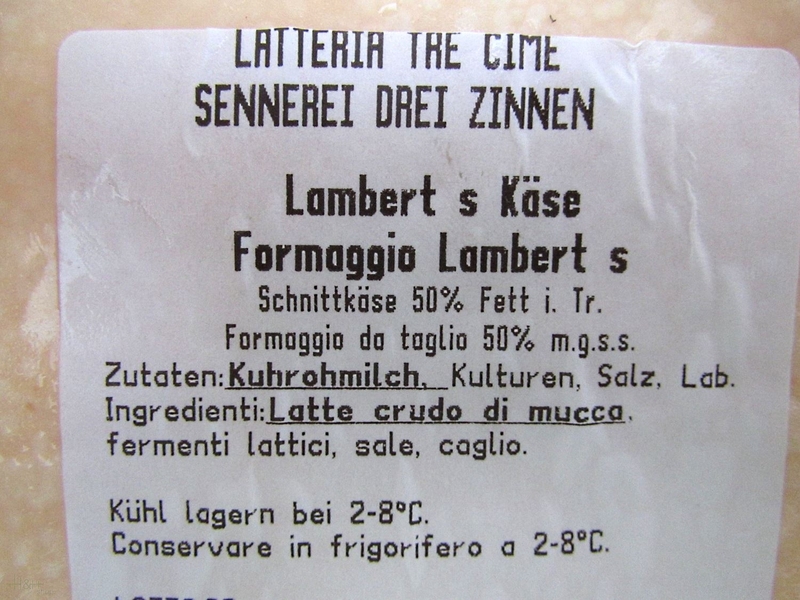 Satyricum Cheese DEGUST approx. 500 gr. 22,75 EUR / 45,50 €/kg.